Smartterm is an enhanced learning platform that provides learning solutions to schools, corporate institutions and governments. One of the main visions of Smartterm is to enhance the way we educate in the Caribbean by providing administration, students, teachers, parents and governments with a seamless integrated experience. Is it being used in Trinidad? 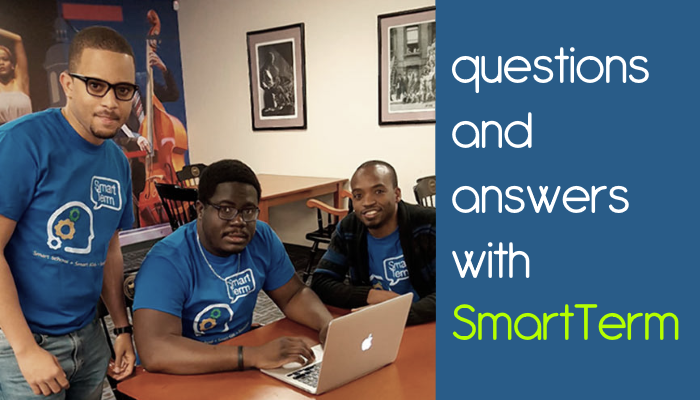 The Smartterm solution is geared toward the development of all schools in the Caribbean. Currently it is being optimized by schools in Jamaica who have reported improvements in the school’s operations. We are in discussions with Caribbean stakeholders such as CTU, CDB, Caribbean Ministries and others. With the changes being made in the education system of Trinidad and Tobago, Smartterm will be a complementary factor that will increase the success rate for all schools which will empower all students, no matter their background. We plan to make further advancements into Trinidad and Tobago for the year 2018. How is it different from Moodle? Smartterm is different from Moodle firstly because it was created by Caribbean engineers with Caribbean Education and Caribbean school’s environment in mind. Moodle is a great product but it was not designed for the Caribbean. For example, there is no on the ground technical support, you would have to make expensive phone calls to the US in order to resolve problems. Also, Smartterm gives hands on training of the system at no cost to the school. Reporting with Moodle is limited whereas with SmartTerm we place particular attention on analytics which generates insights on learning patterns. These are a few key noteworthy differences. Do you think tech as a subject should be made mandatory in primary and secondary education just like Math and Language? The world is advancing rapidly and for us in the Caribbean to keep up we must be able to make adjustments as small as it may be. Most of our everyday interactions involve some level of technology, so why not introduce it at an earlier age? Tech as a mandatory subject in primary and secondary schools can be paired with Entrepreneurship, Innovation and Investments as a complete package. In terms of advancement in technology and students leaving the school environment to get into the world of work, Smartterm bridges that unfamiliarity of technology and working with systems. Smartterm’s headquarters is located in Kingston, Jamaica. Being present in Jamaica gives us a better leverage to the entire Caribbean region. Is there any amount of adaptive learning in your LMS? Yes. We leverage Artificial Intelligence and Machine Learning to mine our data to come up with useful ways to create personalized learning environments. Who is this service targeted towards? The primary target audience will be schools that are looking to manage academic and administrative functions, including course management, financial management, timetable creation, content management, among others. However, parents and students are secondary targets as we continue to educate about the benefits of such a platform. Do you have a sandbox where persons can try out your LMS? We are currently making adjustments to our website so that persons can have first hand demonstrations and interactions with the system. However, in the meantime our team of experts are available to schedule a meeting with interested persons for a live demo. Let Us Work Together. As stakeholders in the future of Caribbean education, we need to work together in order to bring about positive change for the future generations who are depending on us. Governments, schools, teachers, parents, students and even future employers, none is excluded from the equation. We want to become partners for development because together we can do so much more. As an Education ICT Solution we are looking to scale across the region and seek to help impact schools and strengthen the education infrastructure. However, we truly believe that with the right attention by Caribbean governments, other stakeholders and adequate funding much more can be done.